When you support and encourage your child to learn, your positive approach helps influence your child's success. Take the time to view or download the videos and documentation that applies to the age group you are interested in. Share with colleagues, friends and family. If you are preparing a parent engagement workshop, you will find everything you need right here! This material has been designed and prepared by the Council of Ontario Directors of Education. Introduction - What is the Parent Tool Kit? This Parent Tool Kit was created specifically for parents of children in the elementary grades in Ontario (Junior Kindergarten to Grade 8). 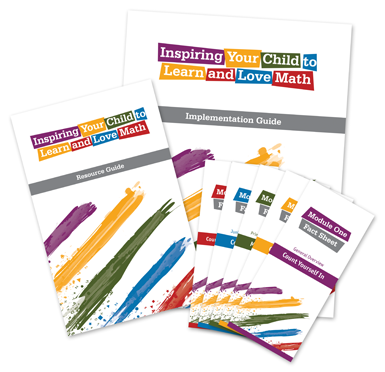 The goal of this resource is to provide parents with the most significant research-based information to help them be the best, most knowledgeable and most confident supporters for their child's mathematics education. You might also want to share the tool kit with other parents in your community who are struggling to find the information they need to help their children navigate the K-8 mathematics program. You can do so by using the Implementation Guide to host a parent information evening at your local school. However you choose to use it, this tool kit will undoubtedly help strengthen your knowledge and understanding. It emphasizes the many ways in which you play an important role in your child's education. This, in turn, reinforces your child's success in mathematics with your help and support. We have made every effort to acknowledge original sources and to comply with copyright law. If there are cases where this has not been done, please notify the author. Errors or omissions will be corrected in a future edition.